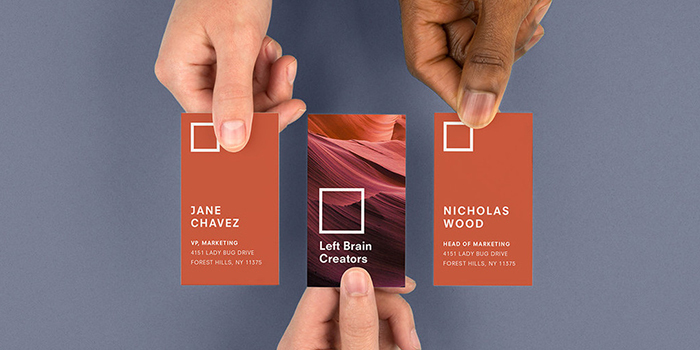 Your name, your pictures, your design – ordering your first set of Business Cards is a rite of passage for anyone setting up their own business. But where to begin? First things first – personalize your card so people can use it to contact you. At a minimum, your it should have the name of your business and a way to get in touch. But you don’t have to stop there. Consider whether you want to use an email address, Twitter handle, web address or a combination of contact details. Whatever you choose, make sure that when the recipient looks at your card, they will see a great ‘storefront’ for your business. You might want to add your own name, which can add a personal touch, or stick to the business name so it’s easy for other people to give out your cards at events. Decide how much you have available to spend on your Business Cards, and how many of them you want. If you’re not sure, think about how you’ll use them – will you hand out a few cards at important meetings, or will you be distributing a lot of them at events and including them in delivery packages? 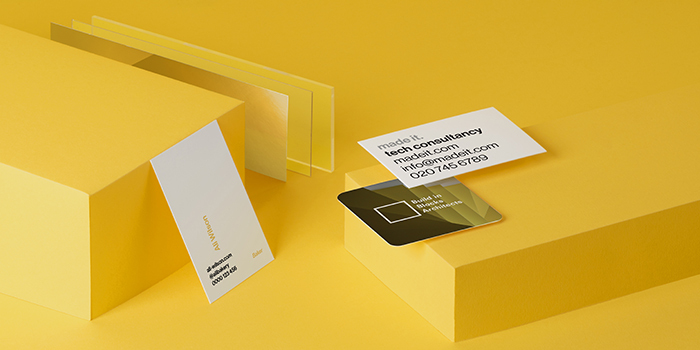 You’ve got lots of options with MOO, from the mega-adorable (and cost-effective) MiniCards to stand-out Square Business Cards – all of which are available on a range of paper stocks – plus the option to add attention-grabbing finishing touches like Gold Foil and Spot Gloss. Check out our handy cost calculator and what you could get for your budget (including shipping costs). Paper stock is the type of stuff your cards are printed on, and it can range from flexible paper to super-solid card. Paper stocks come with a GSM or PT rating which tells you how thick and durable the paper is. The higher the number, the sturdier the card. MOO paper stocks range from 298 gsm (18 pt) upwards – and the great news is, all of them are super-high quality Mohawk Superfine papers. Choose between Luxe, Super, Cotton and Original. We promise you won’t be disappointed. Want to get hands-on with our range of papers? No problem! Order yourself a free sample pack. Maybe this is the first time you’ve thought about your visual branding, or perhaps you already have your own logo and design files ready to go. Or maybe you’re somewhere in the middle. Whatever the scenario, we’ve got you covered. Pick a color palette that fits with your brand. Beyond matching the colors with your existing marketing, think about the associations that come with each colour family. Red might be a good choice for a management consultancy, suggesting energy and action, while purple could be more in tune with a creative company. Green is a great choice for natural, eco-friendly or plant-based products. From traditional serif styles to eye-catching designer letter-sets, your font choice can communicate much more about you than just words. Choose a font (or fonts) that will be legible when printed on a business card, and that fits in with your brand’s identity, whether that’s quirky, arty, minimal or classic. We’ve picked 5 fonts we love to get your inspiration flowing, or see how these designers let fonts do the talking for them. Why not play around with a few different fonts and colors to see what fits? For complete design novices, there’s a huge range of ready-to-use templates available on our website. Our free templates include images, fonts and color schemes, so everything is ready to go – you just need to fill in your name and contact details. Finally, if you’re a design pro (or you’re working with someone who is), you can upload a complete design as PDF, JPEG or PNG file type. We’ve got lots of design guidelines and FAQs available to make sure everything looks terrific when it pops out of the printing machines. We also have social media logos and NFC symbols (for our NFC Business Cards+) ready to download and add to your design free of charge. 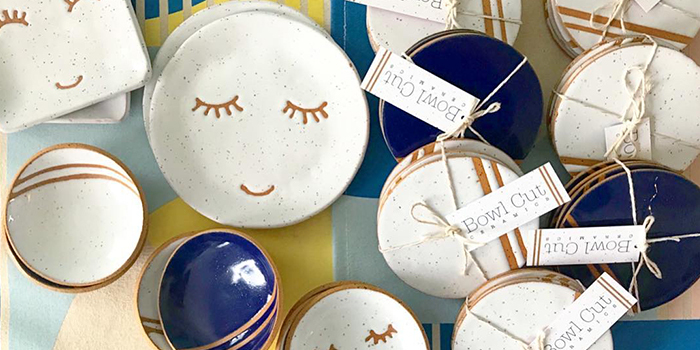 Once you’re happy with your cards, place your order and await your MOO parcel. We take pride in our packaging, and every order of business cards comes in a smooth and sturdy box which you can reuse and recycle. If you want your cards to be truly one-of-a-kind, use Printfinity, our unique technology which allows you to add up to 50 different images or designs to a pack of cards at no extra cost. Printfinity Business Cards designed by Wit and Co.
Voilà! 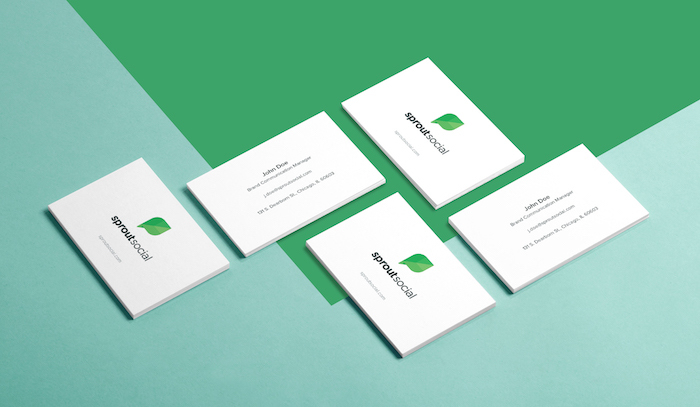 It’s easy to make and print your first Business Cards with MOO. The only question is, which ones will you choose?